Early Intervention Centre and Speech therapy for MR and HI. 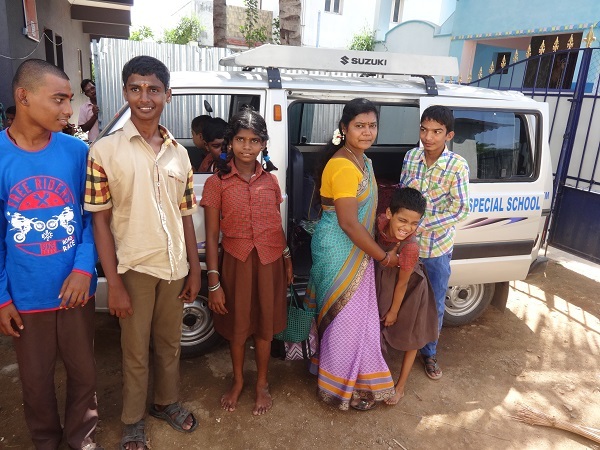 We are running one Special School for the Mentally Retarded Children in Gopal patty, Sanarpatty Block of Dindigul District. We are providing free education, Physiotherapy, Books, Note Books, Teaching Learning materials, aids and uniforms. 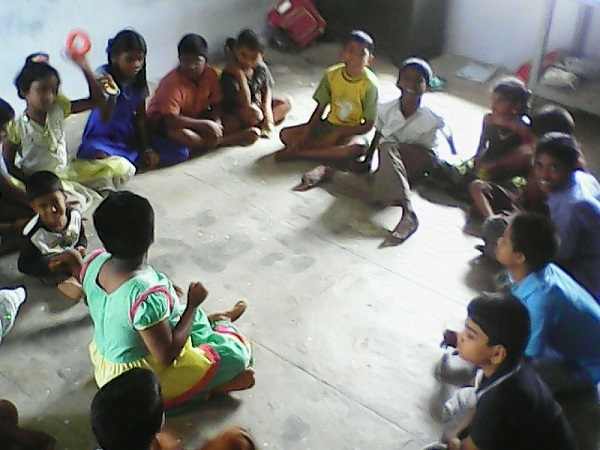 Apart from subjects, sports, games, drawing are also taught compulsorily. In our project area at Natham, we admitted 25 mentally retarded children. We have motivated all of them to attend the school regularly. Also, 19 students are using our transport facility. In this school UDAYAM providing value education, yoga Therapy, study materials and other essential good owning free of cost. We assure that we have planned to admit the more children in future. 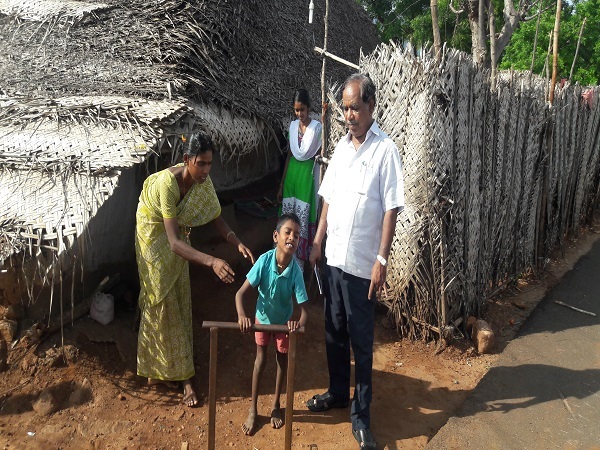 The Early Intervention Center (EIC) at Dindigul has in its team the occupational therapist, physiotherapist, psychologist, speech therapist, and special educators. EIC at the School of Hope is specially designed to provide services to children from birth to 3 years of age who have a developmental delay, or are considered to be environmentally or biologically at risk. Acquisition of new behaviour skills. Increase the child's level of independence. Minimize effect of handicapping condition. Multisensory teaching is about simultaneously using visual, auditory, and Kinesthetic-tactile (VAKT) methods to enhance memory and learning. Links are consistently made between the visual (what we see), auditory (what we hear), and kinesthetic-tactile (what we feel) pathways in learning to read and spell. Each has his own purpose but not all are the same. A child with Autism is different but still unique. The Spectrum may not have a cure but can be well managed, while focussing on the abilities of the child. Every student who enters the portals of Eklavya - The Learning Centre evolves into a worthy, self- sufficient, moderately well behaved individual in society. The main focus is on providing Special Education for all the children in the Spectrum. .
ABL is an excellent methodology that contributes to bring out the best in the student and takes them through various skills that make them as contributing members in society. Hands to Hearts is an initiative that gives hands on training to students to peel, cut pack veggies and even market the finished products through the mock-shop concept. Teaching approach is followed by structuring the classroom environment through audio/visual aids. Students are trained to follow a routine and do activities in a systematic manner. Gradually they become totally independent. Social stories help children with autism to read, rehearse, and write in advance what to expect in social situations. Social stories help children with autism to become more independent, maintain routines, and gain knowledge on how to perform an activity, ask for help or respond appropriately to feelings of anger and frustration. Music has a therapeutic value and can make a difference in the lives of people by enhancing the quality of life and the psychological, physical, cognitive and social functioning. With deep aspiration and intent to improve the quality of life of children with special needs, Eklavya has introduced Arts Based Therapy (ABT) in its curriculum. ABT is the evidence- based use of art forms to accomplish individualized goals within a therapeutic relationship. ABT uses elements of and methods from three artistic media- music, drama and visual art. The arts thus applied yield to the therapeutic function through a gradation: artistic skills, innovating with art forms through improvisations, creating and dismantling meaning through metaphors, and experiences that are beyond expression. The assessments are carried out to find out whether there is a discrepancy between functional level and IQ of the student. The psychologists who use the test of attention, specific learning disability are required to obtain IQ profile to complement the test data. This will enable them to plan comprehensive and effective intervention strategies. OT enables students to improve their development and prevents disability from impacting their functioning in daily life. It also focuses on the promotion, restoration and maintenance of productivity in people with a wide range of abilities and disabilities. OT may include adaptation of task or environment to achieve maximum independence to enhance the quality of life. Occupational Therapy has a definite role in helping/treating children with sensory processing deficits. One-on-one speech therapy sessions are available for children enrolled as well as not enrolled in our school programmes. Therapy sessions focus on developing a child’s overall communication skills and an individualised plan will be devised to address your child’s needs. They focus on pre verbal, receptive and expressive language, social communication, articulation and phonology the following therapies—also called “allied health services”—address symptoms commonly associated with autism, but not specific to the disorder. Nonverbal persons with autism can benefit from a variety of augmentative and alternative communicative (AAC) devices and methods. At Eklavya our teachers are familiar with AVAZ. Although AVAZ is based on visual tools with computer generated audio, our emphasis is on reinforces verbal communication so that the speech development takes place is greater brain neuronal connections. Many children and adults with autism have challenges in processing sensory information such as movement, touch, smell, sight and sound. Sensory integration (SI) therapy identifies such disruptions and uses a variety of techniques that improve how the brain interprets and integrates this information. Sensory integration therapy allows a child or adult with sensory integration difficulties to become more “available” for learning and social interactions. Family members and teachers often find that its techniques can help calm an affected child or adult, reinforce positive behaviour and help with transitions between activities. Eklavya Learning Centre also has a sensory room with special lighting, music, and objects. It can be used as a therapy for children with limited communication skills. Physical Therapy Many children and adults with autism have challenges with motor skills such as sitting, walking, running and jumping. Physical therapy (PT) focuses on problems with movement that cause real-life limitations. In particular, physical therapy can improve poor muscle tone, balance and coordination. Our Therapists deliver physical therapy beginning with an evaluation of a person’s physical abilities and developmental level. They then design programs of activities that target areas of challenge. Awareness program for parents and teachers. Teacher Training on Learning Disability. 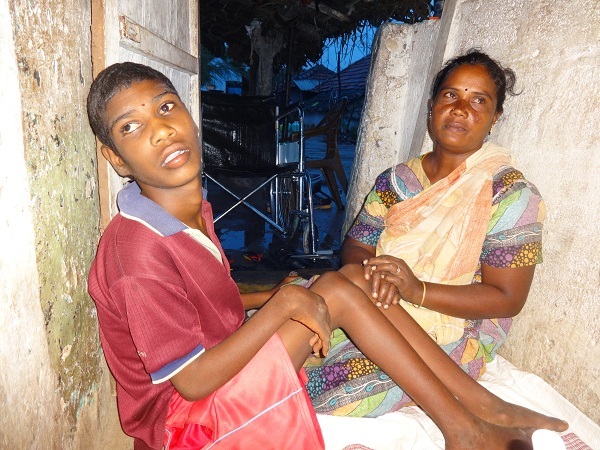 According to survey 26 severally affected Mentally Retarded students in Kujiliyamparai Block. We planned to take care of severe MR students in our general body meeting with the support of Lions club of Dindigul-GEM. We selected three service minded volunteers from local and provided 15 days intensive training to handle the several MR persons. 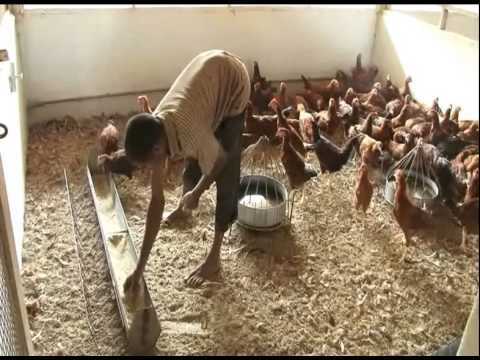 Now they are providing Daily Living skills and other basic activities. The main focus of UCT is to the empowerment the women and children through conducting awareness generation programme and trainings offered to the target group to improve their socio economic and educational developments. Udayam have taken necessary steps to achieve the goals and objects. The existing poor women are organized a small group i.e. action group collected and motivated to strength their capacity as self-help groups i.e. major groups to educate and awareness given to on what reason are behind the issues were created and how to eradicate the issues of women gender and equity , atrocities etc the necessary supports are provided. 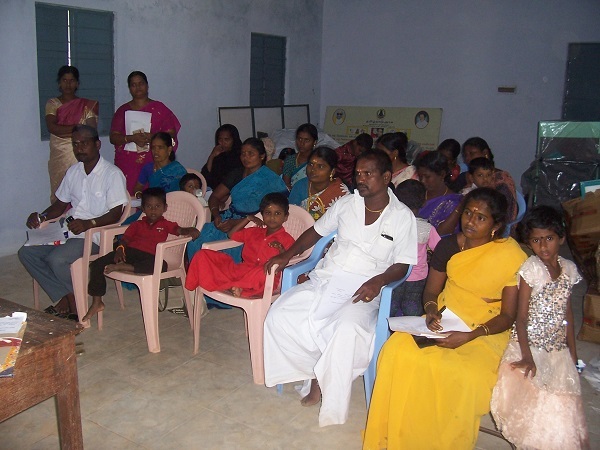 50 self-help groups formed all the members are motivated to aware of the family problems as well as in society. With the help of Lions Club, Udayam have organised one day training programme to the community leaders of indigenous people (Tribal) in Sirumalai hills. The training programme mainly focused to create awareness about legal rights, indigenous rights and basic rights .25 tribal leaders are participated in this programme training to leaders has motivated them to get rights from the government. Udayam would continue its support and Guidance to the tribal for their social and economic development. Tribal women are empowered through income generation activities, goat rearing, Brome Stick making and honey collection etc. 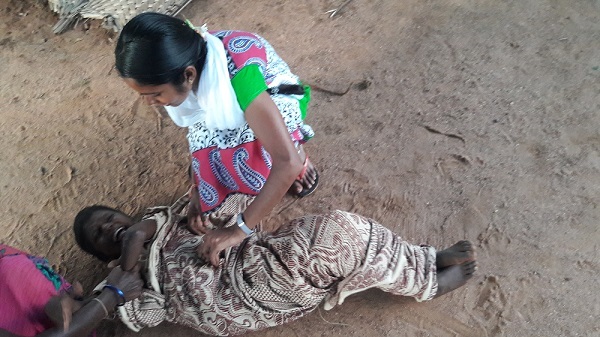 The Women engaged to collect medicinal plants and to sell direct market in nearest town, Udayam will concentrate the holistic development of tribal in Sirumalai hills in future. UDAYAM TRUST runs a type Tailoring Training centre for our rural girls and deaf students who are looking for the job in and around Theni District. Also we have a chair recanning centre. It is functioning for the school completed and discontinued disabled boys and girls in our area. 135 persons are benefitted through this centre. In addition to it, Embroidery, handworks, Agar pathi production Soap oil production is also taught to them .So they earn more money and become self-reliant. They are self-confident to stand in their own legs. 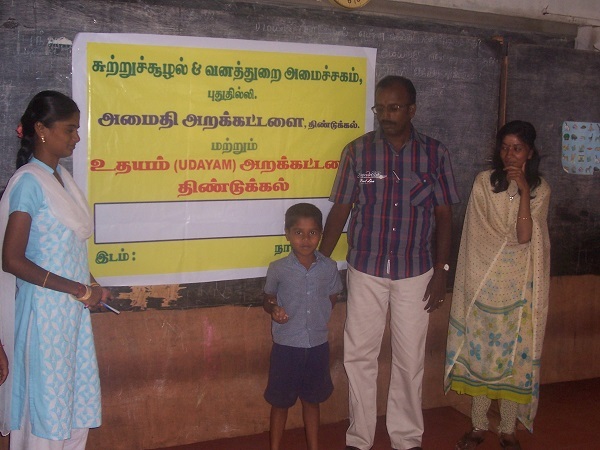 UDAYAM TRUST Began its wok in India in 1997 with three dedicated member and established an office in Dindigul (Tamil Nadu) Latter currently it advocate for the rights of Disabled in four Districts(Dindigul, Theni, Madurai and Sivagangai)of Tamil Nadu.